While the Philadelphia Eagles are looking to defend their Super Bowl title, there’s going to be plenty of challenges from other teams. One thing that those other teams will look at closely for the 2018 season is how effective the Eagles were in scoring in each quarter, and you can see from the inforgraph below how the Eagles along with a number of other NFL teams who made the postseason scored during the 2017 campaign. As you can see from the infograph provided, the Eagles most effective quarters were the second and fourth quarters, showing that the was good before the half as well as in the final quarter when the big money is on the line. The best team to score in the NFL in the second quarter was the Patriots as well as the Rams and the Vikings being right at the top. The Patriots made it to the big game but fell to the Eagles, but again you can see from the infograph that they were very good in putting points on the board in the second quarter. The Rams, a team that a lot of people seem to think that will be at or near the top of the NFL in 2018, were also very explosive in the second quarter, showing again that they might be ready to take that next step this upcoming season. You want to be good in the NFL? Use that infograph above and see just how good the top teams in the NFL were when it came to scoring in the second and fourth quarters, something that a lot of teams should stress in the upcoming campaign. 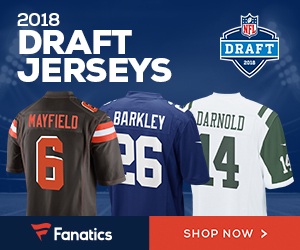 Be the first to comment on "Want to Be a Top NFL Team in 2018? Put Stress on Scoring in the Second and Fourth Quarters"